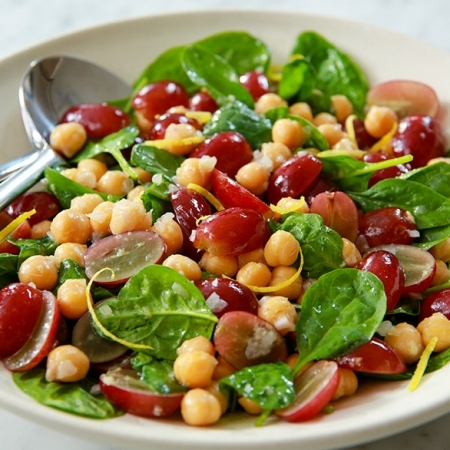 Just six flavorful and nutritious ingredients — olive oil, garlic, ginger, chickpeas, baby spinach, and grapes from California — make this an amazing lunch or dinner. 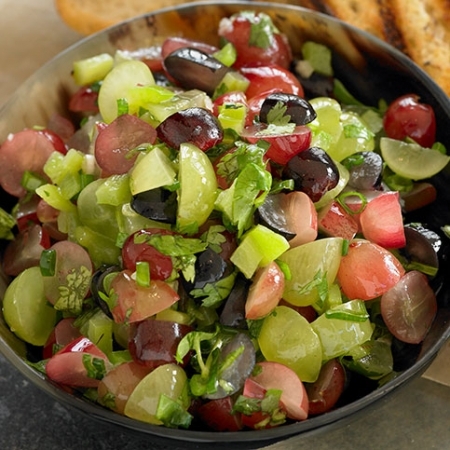 Go with grapes from California in salsa instead of tomatoes for a fresh burst of flavor. 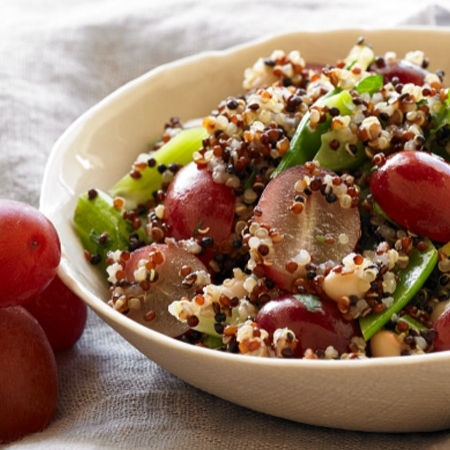 The basis for this delightful salad is a trio of superfoods: quinoa, grapes, and white beans. Crisp pea pods and celery add crunch while the lemon-pepper dressing adds a zesty note. This wholesome salad can be a full meal or a hearty snack. 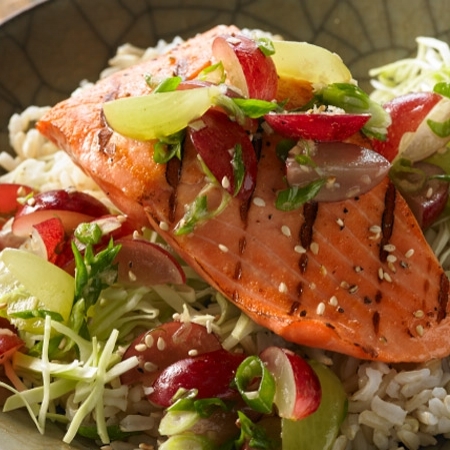 Either way, the protein and fiber in this combo will help keep hunger at bay in the tastiest way! 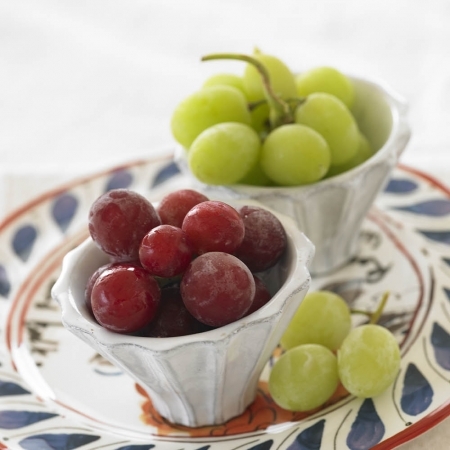 Go with grapes from California to support a healthy heart, brain, and colon. Go with grapes from California for a healthy dessert. Frozen grapes are like small orbs of sorbet, but without the added sugar! There's just something about California. Something that makes the Golden State so sublime... and the grapes oh so delicious. Grapes have over 1,600 natural plant compounds including antioxidants and other polyphenols. 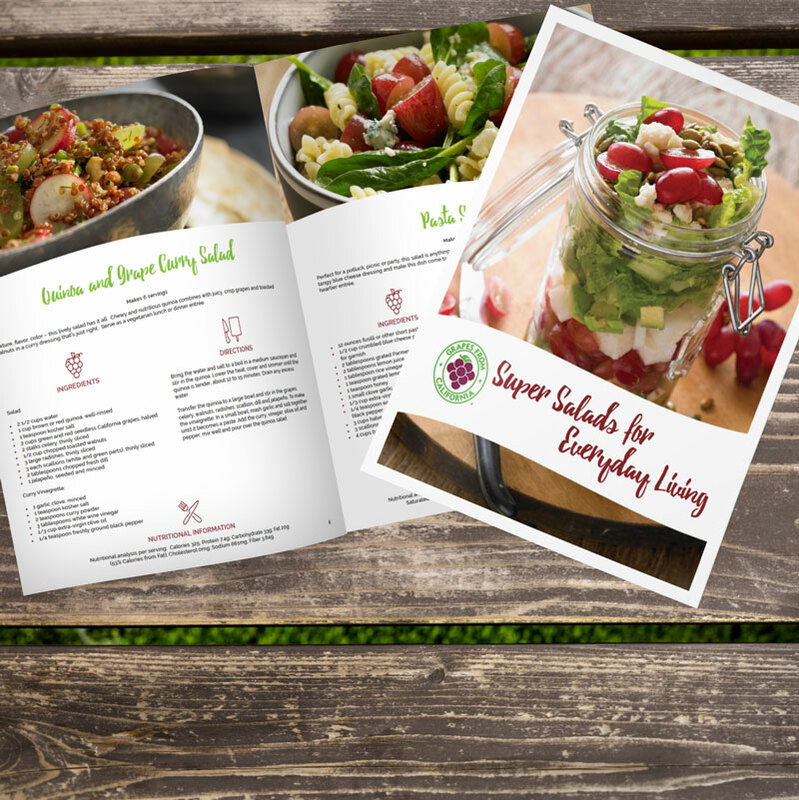 A collection of cookbooks featuring grapes from California. Explore the year-long growing cycle of California grapes – from dormancy and pruning beginning in December to availability in stores in May through January. 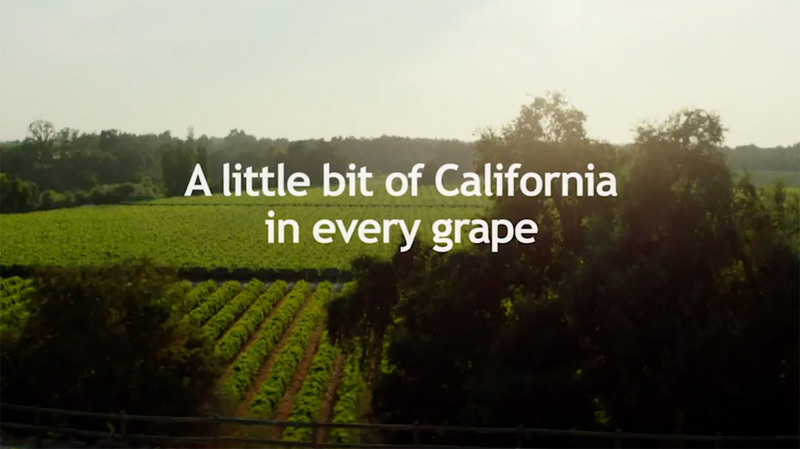 Since the commission was created in 1967, California grape growers have shown support to the communities where they live and work through community outreach.